Dads, there is no better time to celebrate your wives than at Mother's Day. This year, we've made it absolutely fool proof: we're releasing MOMS' NIGHT OUT on May 9—the Friday of Mother's Day weekend. Make it a date night ... bring the whole family (yes, it's hilarious and wholesome) ... watch the kids so she can have a moms' night out. We even have this card to help you make it happen! 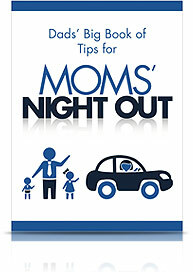 Check out these other great resources for you and your kids as you get ready for MOMS' NIGHT OUT! As a dad, Alex Kendrick (Fireproof, Courageous) knows MOMS' NIGHT OUT is a win for your family. With the dads in charge, what could go wrong? Kevin makes all the kids will be accounted for. In this scene from the new family comedy Moms' Night Out, Sean and Pastor Ray (Sean Astin and Alex Kendrick) discover their wives are endangered. A little pain can't keep them away! 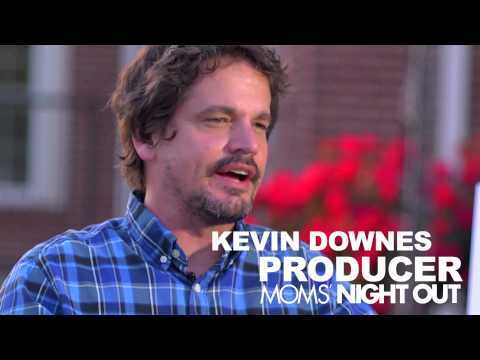 The dads from Courageous—Kevin Downes, Alex Kendrick, and Robert Amaya—all are part of a great MOMS' NIGHT OUT cast. God hard wired us dad to be heroes. It really doesn't take a lot of thought for courage to kick in and for men to step in front of fear. It's who we are. It happens every day: a kid is bullying our child at school; a coworker questions the integrity of a friend; our wife calls for help because she had a fender bender and needs her man beside her. Need some insights on what to do as you watch your kids so your wife can see MOMS' NIGHT OUT? Check out this little helpful book! In MOMS' NIGHT OUT, Bailey is thankful that her mom loves her "the mostest!" 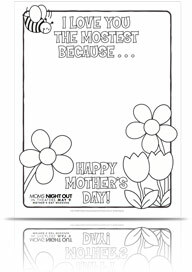 Have your kids draw and color what they like "mostest" about their mom! 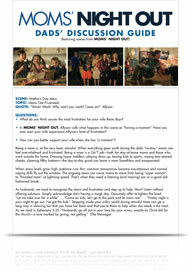 "While it might sound like a movie for women, MOMS' NIGHT OUT is a hilarious comedy for the whole family—including you! Guys, give the gift of laughter this Mother's Day with MOMS' NIGHT OUT." "MOMS' NIGHT OUT is a laugh-out-loud comedy that's for men too!" "I thought MOMS' NIGHT OUT was going to be a 'chick flick,' but I totally loved it! I can't wait to take my wife to it!" 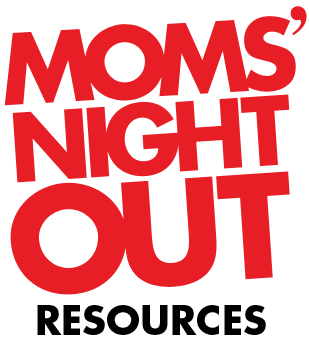 "I saw the new movie MOMS' NIGHT OUT and I really liked it. MOMS' NIGHT OUT is a comedy that doesn't forget to be funny, and it still gets its point across. It has humor and heart and I think it is a great movie for the entire family."